In a recent CBS survey, nearly three quarters of respondents said that they opposed the Federal government shutdown. 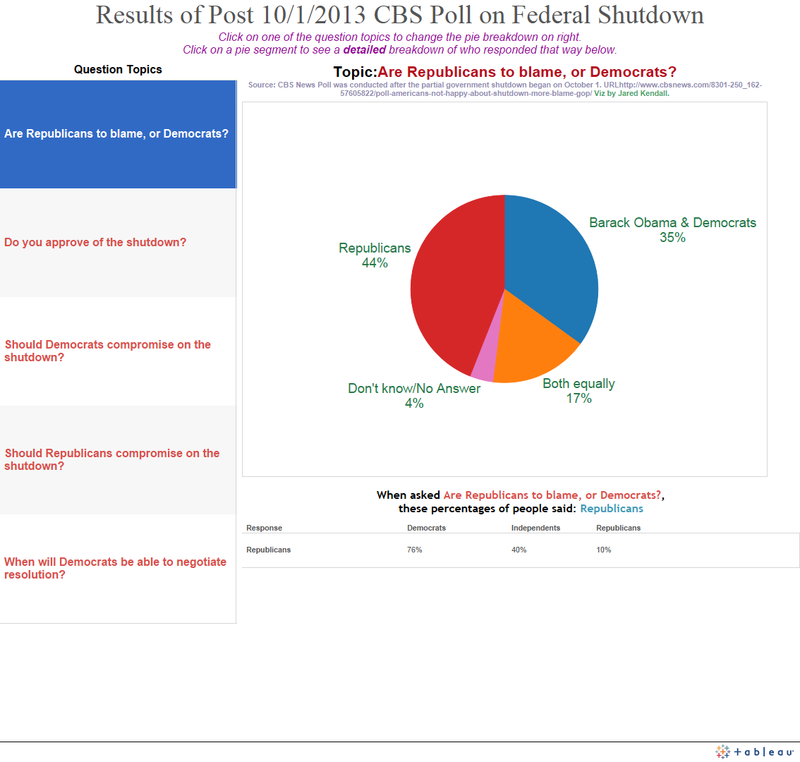 The poll was taken just after the October 1st Federal shutdown, and the results used to build a Tableau visualization that makes it easier to look through the results of the poll in their entirety without resorting to perusing a text table. For each question/topic raised by the poll, a a pie chart is provided showing the various responses, and the percentage of respondents replying each way. If one then clicks on the percentage result, another breakdown is given, showing the demographic breakdown for that response. Look for further polling visualizations as interesting poll data is released in accessible form.